We have a movie theater near our house that I love. It offers all the latest movies, the reclining seats, lots of movie times including early morning weekend showings, and it offers a military discount. Bingo! I rarely go to another theater. There are a number of considerations that you need to take into account before giving your business to a company that offers a military discount.There are five key items to consider. Military Discount Rule #1 - Do I Really Need This Purchase at This Time? The best place to start is to really confirm that you do need the item. Is this item going to make things easier, safer, help you at work? Taking time to truly understand why we want something helps us understand the purchase choice. Often times, the thought of a discount can sway us into buying something we do not really need. Military Discount Rule #2 - Do I Admire the Company & Their Products? We all know great products and services that great company’s offer. We can all point to great technology, computers, and recreational items that we know and admire. We all can also point to products and services that do not meet those high standards. Discounts can potentially sway us to purchase items that are less high quality – do not be swayed. Military Discount Rule #3 - Is Their Pricing Competitive With the Quality They Offer? Good prices should reflect the quality they offer. We would never expect to pay $100,000 for a Yugo – a failed Yugoslavian imported car of low quality. Look for products that are priced reflective of the quality that they offer sold by reputable stores and dealers. If you see high quality products sold by unknown stores or companies at very low prices – you should be very aware of a potential rip off or scam. Military Discount Rule #4 - Do or Would I Recommend This Company to Others? The best testament to a product or a company is if you would recommend it to others. Social Media, the Better Business Bureau™ and recommendations from friends and family are all areas to get feedback on a company and their products. A company may try to overcome negative business practices with high discounts as a way to sway unsuspecting patrons. Military Discount Rule #5 - Would I Shop Their Without the Discount? 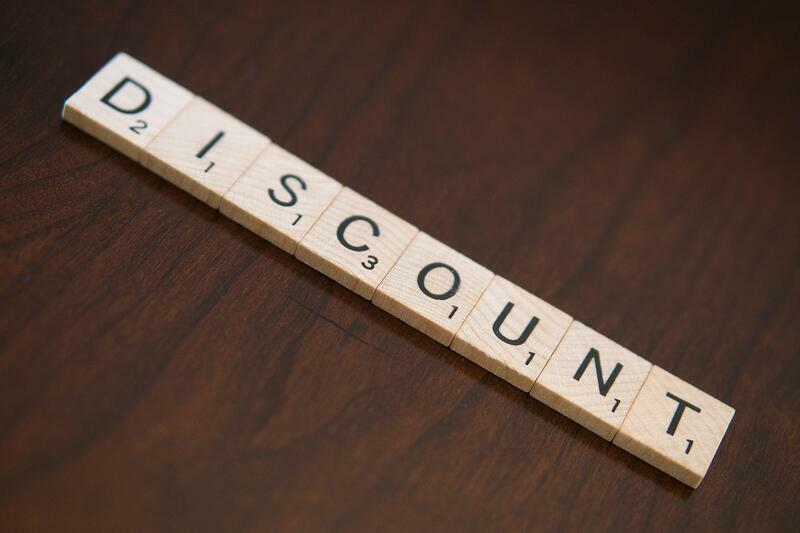 A discount should be an added benefit of buying a quality good or service from a reputable company that is offered at a fair price – pre discount. If you would not shop there without the discount, then why are you shopping there? If you answer “Yes” to all of these questions, then you have an item you need, quality you respect, a competitively priced product, a company you recommend to others, and a product that you would buy WITHOUT the discount. You now have a company that you can shop and use that offers a discount to the military – a great deal! The rationale for this exercise is that often times the thought of a “discount” can lead us astray to purchase things we do not need or purchase from a disreputable company. The last rule if you would shop there without the discount is really the most telling. I shop at a sports store that does not have a military discount when other sports stores do. Why? Because that store is well run, has great quality, offers “no question” returns, and has competitive prices. It is a well-run store and a business with good prices, just no military discount. The military discount needs to be seen as the cherry on top of a sundae. After all, you buy the sundae, not the cherry. Military discounts are a great benefit that many businesses offer, but select the business based on their quality, reputation, ethics, and the value they deliver. Don’t be swayed by a discount on a potentially bad product or service. Content courtesy of USAA, used with permission.